Dawg Post Recruiting Board v5.1 - Georgia the Program to Beat for 5-star? ATHENS - Dawg Post give its readers insight and analysis on UGA recruiting each day heading into Signing Day this December, which is later this month on December 19th. 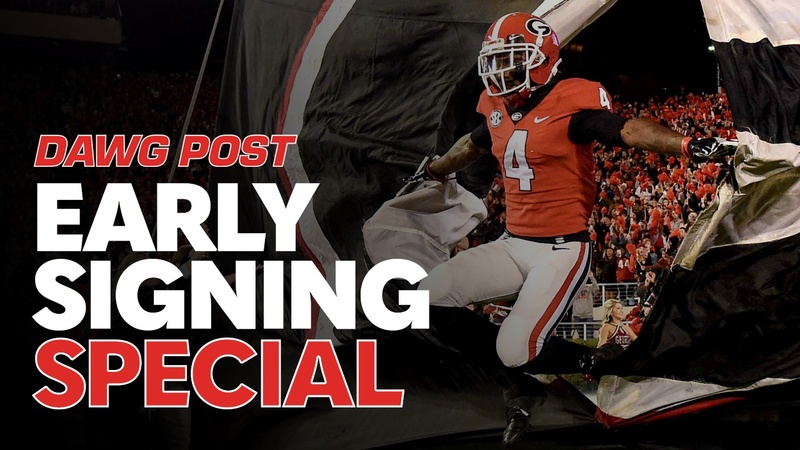 As UGA closes in on the 85th Annual Sugar Bowl, recruiting is in full swing… Dawg Post has a slew of updates for you today. As expected, UGA defensive coordinator Mel Tucker took the head coaching job at Colorado. That move leaves both the DC spot and defensive backs spot open for the Bulldogs heading into the 2019 season. We will see if there will be further fallout from Tucker heading to Boulder as it relates to Kirby’s current staff. In the meantime, Georgia’s two defensive back commits - Lewis Cine and D.J. Daniel - are still expected to sign with Georgia. Daniel told the Athens Banner-Herald on Wednesday that he will sign with Georgia. Dawg Post’s Matt DeBary reports that UGA commit Bill Norton had an in-home visit with UGA DL coach Tray Scott on Tuesday night. Norton is expected to sign with Georgia on December 19. How hard UGA will recruit Wray in the coming months remains to be seen, but it shows the fallout that happens with head coaching changes in the world of college football recruiting. Meanwhile, and more pressing, folks should continue to monitor Georgia’s chances with another offensive lineman - 5-star Clay Webb. Matt DeBary reports that Georgia is very much in the fight. Insiders claim, in fact, that the Bulldogs could have a slight lead for the Alabama native. Webb had an in-home visit with Kirby and Sam Pittman on Monday. He is set to make his decision known this coming Monday. UGA has 18 prospects committed for the Class of 2019. Dawg Post Recruiting Analyst Matt DeBary thinks the Bulldogs are set to sign around 24-26 players in this cycle. We’ve hit the final turn in recruiting in the 2019 cyle. Coaches are all over the place. Stay tuned to Dawg Post for tons of updates during the days and weeks ahead. Georgia is sitting at 18 commits right now - after a reconfiguration of the class in October. The Bulldogs are “expected” to sign “about” 24 prospects this cycle. The Dawgs have 84 known players on scholarship - 15 of which are seniors. So that means UGA can sign 16 players with no attrition to injury, the NFL or transfer. Matt DeBary on Haselwood: One of the top overall players in the country, the five-star receiver and former Georgia commitment is still a major target for the Bulldogs. The Cedar Grove star has an elite blend of speed and ball skills to go along with his 6-foot-3 190-pound frame. Haselwood is the best receiver prospect to come out of the Peach State in a very long time and will be a game-changing player at the next level. After his de-commitment, sources say that Miami is the team out in front, but this one isn’t over just yet. Miami, Georgia, Oklahoma and Auburn appear to be his top four schools as of November 5. 11/05/2018 Update - Keep an eye out for Haselwood possibly visiting UGA the weekend of the Auburn game. Matt DeBary on Dean: One of the top linebackers in the country, the five-star prospect from Horn Lake, Mississippi is a true sideline-to-sideline inside linebacker. He’s a fast linebacker who knows how to tackle as well. He’s not the biggest guy, but the 5-foot-11, 220-pounder has been a top Georgia target for a long time now and sources say the Bulldogs are in the driver’s seat here with a decision coming in December. Georgia is fighting off Alabama, Ole Miss, Texas A&M, LSU and others. He will take his official visit to Georgia this upcoming weekend when the Bulldogs host the Auburn Tigers. 11/05/2018 Update - Matt DeBary reports: Sources say the Bulldogs have the momentum here. 11/10/2018 Update - Dean visits Athens for the Georgia-Auburn game. 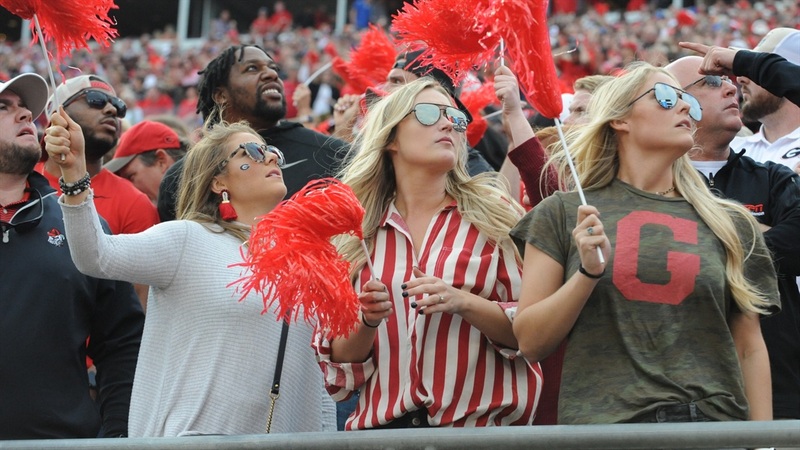 11/12/2018 Update - Matt DeBary reports that Dean loved the "game day feel in Athens." Matt DeBary on Cross: With safety Lewis Cine already on board, Georgia could still take another safety in this class and Nick Cross is a guy to keep an eye on. The four-star from DeMatha Catholic in Maryland is currently committed to Florida State, but sources say a de-commitment is possible sooner than later. Notre Dame, Georgia and a few others could get back in this mix if Cross decides to open up his recruitment. 11/12/2018 Update - Nick Cross visited Athens for UGA's win over Auburn. Matt DeBary on Cain: One of the best running backs in the country, the high four-star out of IMG Academy told Dawg Post that the Bulldogs are back in the race after the de-commitment of John Emery. He has a great relationship with running backs coach Dell McGee and sources believe the Bulldogs could easily get back in this race. There are plenty of other schools also targeting Cain at the moment, but Georgia needs an elite back in this class and Cain would be a great option at the end of the day. 11/25/2018 Update - Cain visits Athens for the Georgia-Georgia Tech game. 11/25/2018 Update - Cain recaps his visit to UGA for the final game of the season. Matt DeBary on Elam: Another four-star cornerback from the sunshine state, Elam is a long, athletic cornerback who is really high on Georgia at the moment. Elam has been a priority target for the Florida Gators for a long time now but sources say the Bulldogs have pulled even with the Gators this fall. At 6-foot-1 190-pounds, Elam is a major Georgia target and one of the top 10 cornerback prospects in the country. Matt DeBary on Keegan: Another big tackle prospect, the four-star and top player in Illinois is listed at 6-foot-6 310-pounds and sources say the Bulldogs are in his top group at the moment. The Michigan Wolverines have been the leader here for some time, but Keegan is high on Sam Pittman and the Bulldogs. A decision will be made on December 11th, and while the Wolverines are expected to be the pick, Georgia, Northwestern, Ohio State and Clemson remain in the mix. Matt DeBary on Webb: One of the top offensive line prospects in the country, the Oxford, Alabama star is the ideal center prospect due to his size, football IQ, quickness, and overall nasty play. He has been an elite performer in camps for years now and rarely loses a rep while going up against bigger defensive lineman. At 6-foot-3 295-pounds, Webb moves very well for his size, and it as fundamentally sound as it gets. He’s a special lineman and a guy Georgia has a legitimate shot at landing in December. Georgia will have to fight off Alabama and Auburn, but sources say Georgia can get it done. Webb plans to take his official visit this upcoming weekend when Georgia hosts the Auburn Tigers. 11/05/2018 Update - Keep an eye out for Webb possibly visiting UGA the weekend of the Auburn game. Matt DeBary on Smith: You won’t find a more physical cornerback out there than Tyrque Stevenson. The 6-foot-1 202-pounder has outstanding ball skills who isn’t all about physicality. 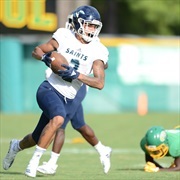 Stevenson is a true cover corner and possibly Georgia’s most important target left of their board on defense. Like current cornerbacks Deandre Baker and Divaad Wilson, Stephenson is a south Florida kid who plays with lots of swagger and passion. Sources continue to say this is a Georgia/Miami battle and the Bulldogs are in a great spot. He currently plans to sign in February. Matt DeBary on Smith: One of the top overall prospects in the country, Smith is an elite pass rusher at outside linebacker who should be able to contribute immediately as a freshman in 2019. At 6-foot-3 235-pounds, Smith is quick off the edge and is strong enough to set the edge the edge in the run game. He has been dominant during the camp circuit and one of the top players on a loaded ING Academy team. Smith committed to Georgia early in the process and will be the leader of Georgia’s defense for years to come. He’s a special talent. 11/10/2018 Update - Smith visits Athens for the Georgia-Auburn game. 11/15/2018 Update - Smith is set to visit Tennessee for the Missouri game. Matt DeBary on Walker: There isn’t a more athletic defensive lineman in the country than Upson-Lee’s Travon Walker. A long, leaner defensive tackle prospect, Walker stands 6-foot-5 275-pounds with great quickness and playmaking ability. He runs well for a guy his size and has played mostly middle linebacker during his senior season. Walker is an outstanding basketball prospect as well due to his elite size and athleticism. Like Smith, expect Walker to make an early impact in the 2019 season as a freshman. Walker chose Georgia on July 24th over Clemson, Alabama and many others. 11/05/2018 Update - Walker visited Florida over the weekend, but it doesn't sound like the Gators made up much ground on him. 11/05/2018 Update - Walker is "expected" to stay enrolled at Upson-Lee in the spring to play basketball and defend the school's back-to-back state titles. 11/10/2018 Update - Walker visits Athens for the Georgia-Auburn game. 11/14/2018 Update - Walker is set to visit Tennessee for the Missouri game. Matt DeBary on Blaylock: The high four-star receiver from Walton might be the best route runner in the country. He’s a natural at the position with reliable hands who can consistently create separation from a defender. He’s got great ball skills and while he’s not a burner, he has plenty of speed and the ability to get yards after the catch. He’s as consistent as it gets. The 6-foot-1 190-pounder chose Georgia on July 16th, 2017 over Auburn, Alabama, Clemson, among others. Blaylock is another 2019 signee who has a chance to see the field early next fall. 11/10/2018 Update - Blaylock visits Athens for the Georgia-Auburn game. Matt DeBary on Cine: Kirby Smart wants his defensive backs to have some size to them, and that’s exactly what Lewis Cine will bring at 6-foot-2 180-pounds. Cine is a level-headed kid who knows he can excel in Georgia’s offense with his range and physical play against the run. He’s a smart player and knows how to play multiple positions in the secondary. One of the best defenders in Texas, Cine chose Georgia over Michigan, Penn State, Florida and Texas. Matt DeBary on Davis: Dawg Post saw Davis play earlier this fall and came away extremely impressed. The four-star linebacker has great size at 6-foot-2 240-pounds and can really run. He’s a physical player and very vocal on the field. He plays with a lot of passion and is someone who can call defensive plays for Georgia’s defense down the road. Davis has some swagger about his game and really looks the part physically to go along with his intense style of player. Matt DeBary on Marshall: A true “thumper” out of Clinch County, the 6-foot-1 236-pounder is all muscle who is as physical as it gets. He’s a guy who can help clog those lanes in the middle of the field and shoot the gaps. He’s a tackling machine at inside linebacker but could help out at running back down the road if he needs too. One of the top 10 prospects in Georgia, Marshall could help immediately on special teams before seeing time at linebacker early on. 11/10/2018 Update - Marshall visits Athens for the Georgia-Auburn game. 11/14/2018 Update - Marshall is set to visit Tennessee for the Missouri game. Matt DeBary on Johnson: Another JUCO commitment with a year of experience at the collegiate level, Johnson has great size at 6-foot-6 240-pounds. He will be expected to come in and provide some pass rush next fall. He’s got a great motor to go along with a great pass rush, and is considered one of the top JUCO prospects in the country. His film isn’t on the same level as Nolan Smith’s or others who have recently signed with Georgia, but he has experence in college ball that they don't. Matt DeBary on Goede: One of the top tight end prospects in the south, the Kennesaw Mountain product is another signee who will bring good size to the position at 6-foot-7 240-pounds. He’s a good blocker on the edge and a big target who could really help in the red zone. He still needs to get stronger and he’s coming off knee surgery, but Goede could turn into a solid player down the road. He showed good ball skills as a receiver at the Atlanta Opening Regional, and proved he’s one of the better blocking tight ends around when Dawg Post saw him play against Lassiter back in October. He’s likely headed for a redshirt season in 2019, but he’s a solid four-star tight end who can make an impact down the road. 11/10/2018 Update - Goede visits Athens for the Georgia-Auburn game. Matt DeBary on Tongue: Maybe the most versatile player in this class. The 6-foot-2 210-pounder can play on both sides of the ball, but will likely player receiver in Athens. He has great ball skills and has no problem going up into traffic to make a great catch. He’s got decent speed for his size and has a knack for making plays. Some schools recruited him to play linebacker due to his size and physical style of play. That means we should expect him to be an excellent blocker on the outside in the run game. Tongue broke his leg earlier this year. He is not expected to enroll early. Matt DeBary on Norton: The four-star from Christian Brothers High School in Memphis is a guy Tray Scott will love to coach these next four-years. At 6-foot-5 275-pounds, Norton is a big guy with an outstanding motor. He does a great job of playing through the whistle and making big plays when the game is on the line. He’s still a little raw in a lot of ways but he has a lot of potential to be a good player in Athens. He will add immediate depth at defensive tackle position next year. 11/10/2018 Update - Norton visits Athens for the Georgia-Auburn game. Matt DeBary on McClendon: One of the better offensive lineman in the peach state, The Brunswick lineman is a versatile player who could play either tackle or guard down the road. He’s not nearly the size of Xavier Truss, but still has some size on him at 6-foot-4 318-pounds. He won’t blow you away with his play, but he’s a consistent player with size who goes out and does his job. He won’t be asked to play early, so he’s another guy who will benefit from developing over time and perfecting his craft before he’s asked to go out and play a ton. Overall, he’s a solid four-star prospect and a nice addition to the class. McClendon committed to Georgia on July 16th over Florida, South Carolina, among others. 11/06/2018 Update - McClendon tells Matt DeBary he plans to attend Georgia's game with Auburn. 11/10/2018 Update - McClendon visits Athens for the Georgia-Auburn game. Matt DeBary on Daniel: One of Georgia’s most unknown commits in the 2019 class is cornerback D.J Daniel. 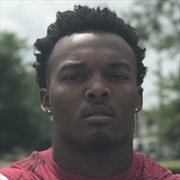 The Griffin, Georgia native out of Georgia Military College was a major target for the Bulldogs this summer before surprising everyone and committing to South Carolina. After a few months, the four-star cornerback flipped to Georgia. At 6-foot-0, 180 pounds, Daniel is not the biggest cornerback out there, but he’s not undersized either. What stands out the most about Daniel is his speed. He’s sound fundamentally, showed quick feet to go along with his speed and showed on film that he can be physical on the line of scrimmage. He’s a tough guy and a true competitor. Overall, there’s a lot to like, and with so many uncommitted cornerbacks still out there, it says a lot that Kirby Smart wants him in this class. Matt DeBary on Plumlee: One of the better dual-threat quarterbacks in the country, Plumlee is dangerous when scrambling and making plays with his feet. At 6-foot-1 185-pounds, Plumlee shows good accuracy, but the arm strength needs to improve. Luckily, Plumlee won’t be asked to play anytime soon so he’ll have plenty of time to develop his arm and become more of a true quarterback. He’s certainly a weapon due to his speed, so there’s a chance he could get some look at receiver down the road. Matt DeBary on Truss: It’s clear Sam Pittman wants some beef along the offensive line, and that’s exactly what he’s getting in four-star Xavier Truss. At a massive 6-foot-7 350-pounds, Truss is a great run blocker who really moves people in the run game. Playing in Rhode Island, it will take him some time to develop against better athletes, bit he can be a very good player down the road if he can be developed properly by Pittman. He will have to drop some weight and work on his pass protection, but the potential is there to make an impact later in his career. Matt DeBary on Mitchell: The three-star defensive tackle from Franklin Road Academy in Nashville, Tennessee isn’t the most highly regarded prospect out there, but he’s a guy with good size at 6-foot-3 309-pounds who will add depth to the defensive line. He will likely plat defensive tackle in Athens but has a chance to move inside and play some nose guard down the road if needed. He shows good quickness for a guy over 300 pounds but like others in this class, he won't be asked to play early, and needs to develop more overall before he can make much of an impact. 11/10/2018 Update - Mitchell visits Athens for the Georgia-Auburn game. Matt DeBary on Logue: Georgia found this under the radar prospect late in the spring and went hard after him until his commitment on July 15th. Another big lineman at 6-foot-6 285-pounds, Logue still has a lean look to him after putting on a ton of weight as a junior. His recruitment took off later than most, but the Georgia staffed loves him and his potential is sky high. His film won’t blow anyone away, but he had a very goos senior season and could be the biggest steal for Georgia in the entire class. 11/06/2018 Update - Logue tells Matt DeBary he plans to attend Georgia's game with Auburn. 11/10/2018 Update - Logue visits Athens for the Georgia-Auburn game. Matt DeBary on Walthour: Perhaps the most forgotten players in this class, the three-star defensive end has a year of college football experience already under his belt but needs to keep adding weight if he wants to see the field anytime soon. He won’t blow you away with his play, but he’s still a consistent player who does his job. He’s got some quickness to him but needs to continue getting off blocks and developing into an SEC caliber defender. Like Mitchell, he won’t be asked to play early and will have some time to develop while he adds emergency depth to the position. Matt DeBary on McIntosh: Another four-star back from the Sunshine State, the University School prospect is one of the best in the country. McIntosh has a relationship with running backs coach Dell McGee. The Bulldogs beat out Auburn and Miami to get his commitment. He’s a bigger back at 6-foot-0 218-pounds with deceptive speed and tackle-breaking ability. He will be a very good addition to Georgia’s 2019 class. 11/07/2018 Update - McIntosh confirms that he will officially visit UGA for the Auburn game. 11/10/2018 Update - McIntosh visits Athens for the Georgia-Auburn game. 11/14/2018 Update - McIntosh commits to Georgia.